WASHINGTON (CN) – The D.C. Circuit heard oral arguments Monday about whether a new environmental review must be conducted each year when elk hunting in Wyoming’s Grand Teton National Park is reauthorized. Wildlife photographers Timothy Mayo and Kent Nelson originally sued the U.S. Fish and Wildlife Service and the National Parks Service in 2014. On Monday morning during oral arguments in the D.C. Circuit, they repeated their stance that a 2007 bison and elk management plan – which calls for a reduction in the Jackson elk herd in Grand Teton National Park – requires the agencies to submit annual discretionary decisions about whether to authorize elk hunting, and under what conditions, for review under the National Environmental Policy Act, or NEPA. 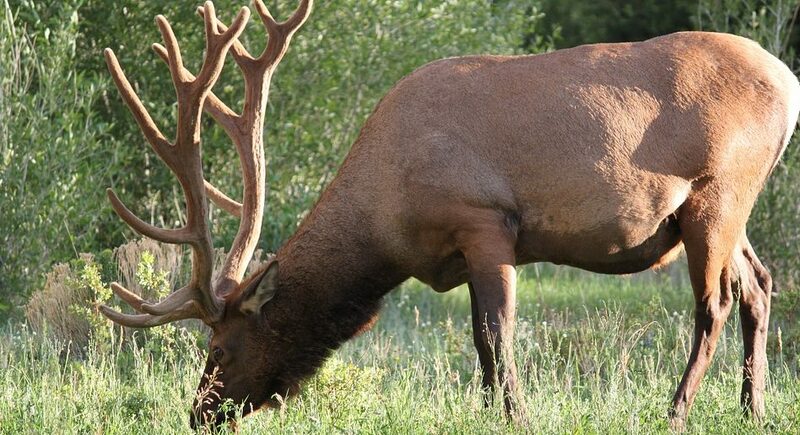 To prove that a new review is necessary, Mayo and Nelson must show that something about the elk feeding program in the park is causing different environmental impacts from elk hunting. Although elk hunting has declined in Grand Teton, Mayo and Nelson say the National Parks Service, or NPS, has acknowledged that if elk hunting were reduced, more elk would stay in the park instead of going to the elk refuge in Jackson Hole, Wyo. The elk feeding began after severe winter weather killed significant numbers of elk in the late 1800s and early 1900s, which led to the establishment of the national elk refuge, which has grown to nearly 25,000 acres. Part of the Jackson elk herd – one of the largest in North America – migrates during the summer from the refuge’s southeast boundary to the neighboring Grand Teton National Park, which was established by Congress in 1929. The two were joined in 1950. Elk hunting and feeding in the Grand Teton National Park has been contentious and subject to several lawsuits. Concerns about concentrated and increased elk populations that developed as a result of the winter feeding program – which make them susceptible to disease outbreaks – have led the NPS to authorize hunts, which the agency has said helps disperse the concentrated populations. Arguing on behalf of Mayo and Nelson, attorney Eric Glitzenstein urged the appeals court Monday to turn the question around and not think about why the agencies should do a NEPA review, but why they shouldn’t. “Why shouldn’t they do NEPA review when they admit they’re making new decisions every single year, and they do in fact bring some level of analysis and expertise to bear when they decide how many elk will be killed, where they will be killed, what conditions will be placed upon the hunt and a host of other circumstances, which in fact arise from year to year,” Glitzenstein said. U.S. Circuit Judge Patricia Millet pushed the Washington-based Meyer Glitzenstein & Eubanks attorney on his suggestion. A lower court had ruled in favor of the government in 2016, finding that the agencies had satisfied their legal obligations. The government had argued then that discretionary decisions the agencies make each year when deciding whether to reauthorize the elk hunting don’t constitute new environmental consequences that require a new review. The NPS reiterated its stance Monday morning that an environmental impact statement done in conjunction with the 2007 bison and elk management plan was sufficient, and that the agency need not conduct a new NEPA review for each annual hunting decision. According to Heron, the NPS chose to conduct a broad review at the front end of the program. But Judge Millet reminded her that two-thirds of the way into a 15-year plan, the central aim of the program, under which the original environmental analysis was conducted, hasn’t been achieved. In fact, the elk feeding has increased. “At what point does the agency at least have to stop and go ‘this isn’t going as planned. We need to take a second look,’” Millet said. Heron responded that only changes that cause significantly different effects than what was initially studied require a second look. Additionally, any alleged changes in the feeding program aren’t having a spillover effect on the elk hunts, she said. “In fact, the numbers of hunters authorized on the park every year is going down, such that the impacts from hunting if anything may be a bit less severe or significant,” Heron said. The number of elk hunted varies each year, ranging from 25 percent to two-thirds, she said. Phasing out the feeding and keeping the elk in the park instead of the refuge was the central objective of the 2007 plan, a point that attorney Glitzenstein drove home to the three-judge appeals panel. “The fact that they’re not meeting the objective in the plan in order to reduce the harmful concentration of elk I think reinforces the fact that this was all seen as an overall dynamic framework that they’re clearly not implementing, and itself warrants some additional NEPA review,” he said. Attorney Heron said the 2007 plan never indicated that elk hunting would taper off to nothing by the end of the plan, only that it would taper down. “It’s simply not the case that any changes in supplemental feed are causing hunting at a scale that wasn’t anticipated in the EIS,” she said, abbreviating environmental impact statement.